Buy with confidence from this trusted and reputable purveyor of genuine, real, old, issued, issued, used and expired license plates and number plates for cars, trucks, motorcycles, crafts. There are 31 States in Mexico (plus the Federal District which is Mexico City. States include: Aguascalientes, Baja California, Baja California Sur, Campeche, Chiapas, Chihuahua, Coahuila, Colima, Mexico City (Federal District), Durango, Guanajuato, Guerrero, Hidalgo, Jalisco, Estado de Mexico, Michoacan, Morelos, Nayarit, Nuevo Leon, Oaxaca, Puebla, Queretaro, Quintana Roo, San Luis Potosi, Sinaloa, Sonora, Tabasco, Tamaulipas, Tlaxcala, Veracruz, Yucatan, and Zacatecas. 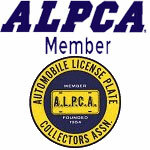 Collectors will love our wide selection of authentic, collectible, and original license plates that we offer for sale. These vintage plates are collectible. Artists use these for Arts & Crafts, while others want to collect all 31 States and the Federal District. 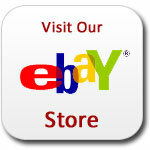 We also offer license plates from the United States, Canada, Island Nations and other countries. Our advanced search box makes it easy for you to quickly find the license plate that you're looking for on our specialty license plate website. You can buy license plates in bulk or you can see our whole collection of plates here.